Bandol takes its name from the port from which the produce of the surrounding vineyards has been shipped for the last 200 years. When the Romans arrived here in 125BC, they found viticulture sufficiently well established for them to send wines back to Italy. Roman amphorae have been found on the seabed between the Ile de Bendor and the coast, indicating the existence of a lively export trade. Until the harbour at Bandol was built, barrels of wine were thrown into the sea to be taken on board by ships anchored off the coast. The prosperous scene vanished with the arrival of phylloxera, which virtually destroyed the vineyards here between 1870 and 1872. Few had the heart to replant and those that did mostly chose hybrid varieties, with the more enlightened selecting Grenache, Carignan and Cinsault. Although it was one of the earlier appellations – dating from 1941 – Bandol had to wait until the end of the middle of the twentieth century for its renaissance. At the time, Mourvèdre needed only to account for a minimum of 10 percent for red wines but, since 1986, fifty per cent is the absolute minimum and the better wines contain much more. The soil is very poor. A mixture of clay, gravel and limestone, although proportions vary considerably within the area of the appellation. The region is also known to geologists for the Renversement du Beausset, a formation in which the geological layers have somersaulted, so that the older rocks lie above the later ones. The appellation of Bandol covers the eight communes Sanary, La Cadière, Le Castellet and parts of Le Beausset, St-Cyr-sur-Mer, Ollioules, Évenos and, of course, Bandol itself. The area under vines now totals some 1,300 hectares, a considerable increase from the 100 hectares of 1941. Indisputably it is Mourvèdre that gives the red Bandol its character. Indeed, it is the only French appellation where it is the principle variety. Here, the grape shows its true quality and potential, unmatched anywhere else. It is said that Mourvèdre likes to see the sea, for it enjoys the sea breezes; but it also demands hot Provencal sunshine and likes clay soil. 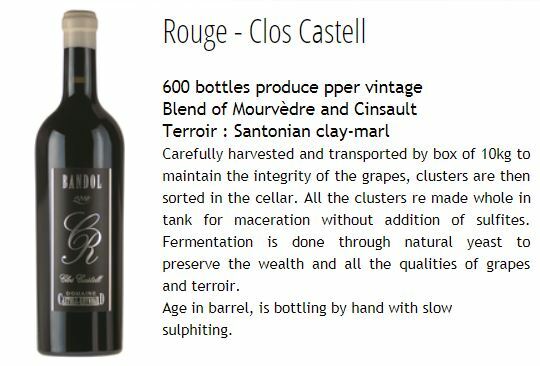 On the red clay that is scattered throughout the region, the wine produced is very tannic and is tempered with increased blending of Cinsault and Grenache. The Grenache grape itself is typically planted on cooler north facing slopes to prevent the grape from over ripening and making the wine highly alcoholic. 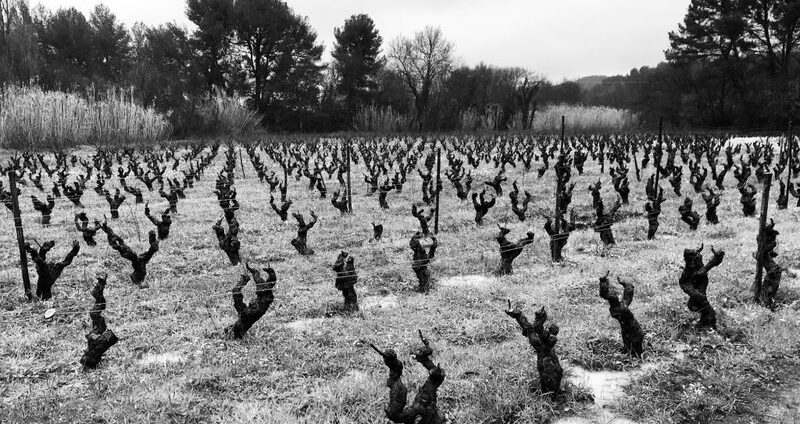 The relative infertility of the soil throughout the region helps to keep yields low with the Bandol region having some of the lowest yields in France. Bandol rouge accounts for almost 70% of the production. Pink Bandol comes from the same three permitted grape varieties as the red but tends to contain more Grenache and Cinsault. White Bandol, which only accounts for 10 per cent of the total production, is based on Clairette and Ugni Blanc. Some growers have Bourboulenc whilst others make no white wine at all. The use of mechanical harvesting is impractical due to the style of terracing used on the hillsides and is prohibited by the appellation rules. 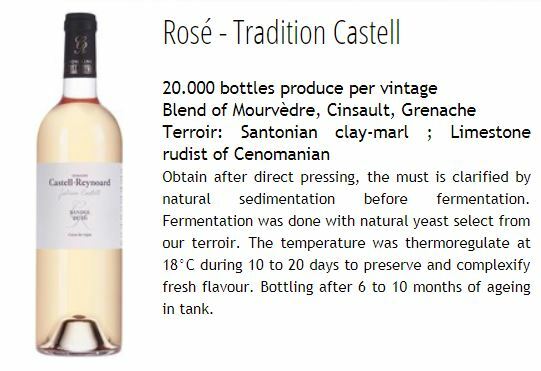 Domaine Castell-Reynoard is situated within the commune of La Cadière D’Azur. It’s origins date back to Henry Reynoard, a marine officer who, after numerous voyages abroad developed a passion for wine. Between 1867 and 1891, he ran a brasserie in Toulon where his clientele included notable artists of the day. In 1892, he acquired the vineyard and constructed a cellar on what is now the domaine. In 1927, the property changed its name, with Henry’s daughter, Claire, marrying Joseph Castell. In 1956, after his studies in Beaune, their son, Alexandre began to take charge. At this time, the grapes were all delivered to the local co-operative. In 1989 Jean-Marie became the third generation to take charge. 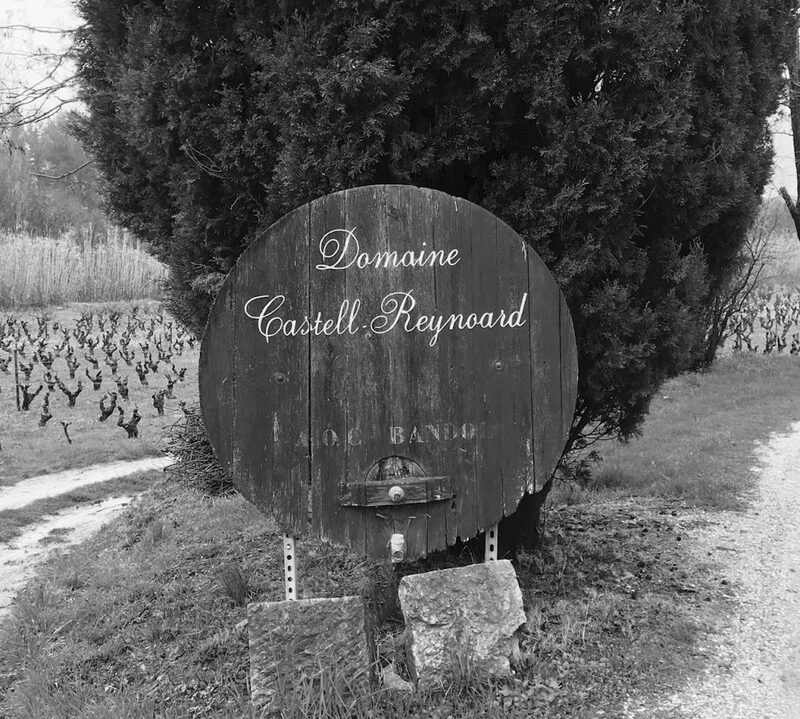 He increased the size of the cellar and began to develop the sales from the property, naming the Domaine Castell-Reynoard. 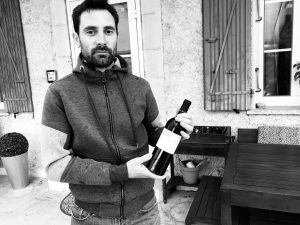 Twenty years later, it is Julien Castell who is at the helm and moving the domaine towards a biodynamic future. The vines have been certified as organic since 2014 and biodynamic from the 2017 vintage. The property now has eight hectares of vines, ranging from four to 60 years old, with a further seven hectares in production.